The sand here is like cinnamon, and the quiet is vast and freeing. The view from the beach by our cabin. Photo Credit: Blake Johnson. Check out his blog here. The family has just settled in for the week at a little oceanside cabin in Prince Edward Island, the home of one of my favorite fictional characters, Anne of Green Gables. I have always felt a special connection to the overly dramatic, hopelessly romantic, prone to misadventures redhead, and as I have grown up, my story has mirrored hers in many ways. One of my favorite Anne moments is when she shatters her slate over Gilbert Blythe’s head. I have also gotten injured because of my pride. After being dared, Anne tries to walk the ridge of a roof and sprains her ankle. In order to prove to a friend that I was “adventurous,” I tried to land an ice skating move that I had no business attempting. I spent that night with a scary Russian dentist name Konstantine who sewed up my chin. You can read about it here. 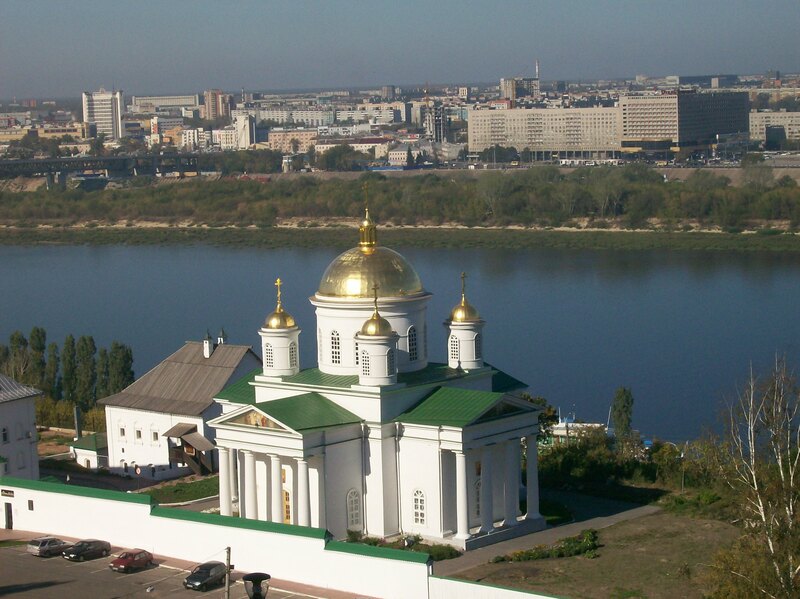 From the moment I first landed on Slavic soil, everything in Russia had seemed full of novelty. Washing clothes in my dorm’s scummy tub wasn’t gross; it was adventurous. Russian cigarette smoke didn’t make me cough; it spiced the air with culture. Even being forbidden to flush toilet paper was somehow exotic. So when a drunken man stumbled into our sleeping car on the way to Moscow, I wasn’t surprised that I felt the same childlike excitement. The over-friendly man took a seat across from my friend Kelly and me and scooted close to my messily bearded friends Mitchel and Andrew (for some reason they had made a pact to spend the whole semester without the luxury of a razor.) Andrei, as he introduced himself, was thirtyish, with sandy blonde hair, nondescript eyes and foggy glasses. If this were Boston, I might have felt repulsion, pity, or even fear. But instead, I felt like a little girl at the zoo, sensing her skin prickle at a lion’s roar but knowing that the bars of a cage ensured her safety. Somehow, I had persuaded myself that this was a different world, a Narnia, where nothing could actually go wrong. Well, at least I could get away with things that I couldn’t in America. I could go on sketchy amusement park rides without my father’s resistance. I could zoom around town in an overstuffed car without wearing a seatbelt. I could strip down without shame in a communal bath house. So I could certainly make friends with a drunken man on a train. I became very friendly. Sadly though, my friends didn’t share my excitement. At Andrei’s sudden arrival, Mitchel’s blue eyes flashed with an overzealous annoyance. Andrew seemed amused, but only yawningly, perhaps enjoying Mitchel’s discomfort. They clearly didn’t understand that this wasn’t just a drunken man, this was a drunken Russian man! How could they not see that we were in for a treat? Mitchel’s eyes bugged out in frustration, Andrew leaned back in boredom, Kelly took the role of cautious observer, but I was on the edge of my seat. To my delight, after ten minutes of listening to Andrei’s jolly blabber, he was ready to tell us his life story. “Do you know why I’m going to Moscow?” Andrei’s eyes glinted, confident that he was the charmingest Don Juan this side of Mt.Elbrus. “I’m going to meet my love!” He breathed ecstatically. I leaned in closer. “Well, you see, I am married.” He paused. “But it doesn’t matter! It’s love!” My eyes went wide in surprise and delight. If I’d looked at my reflection in the dirty, Soviet-era window, I’m sure I would have seen a girl grinning like a child eating birthday cake, the joy in the sugary messiness of the night staining my face. This was not adultery; this was not real. This was just a story, and we were now extras in Andrei’s epic of a tryst. Wasn’t this why I had fallen in love with Russia? Every day was an adventure, filled with intriguing characters that gave me stories that could be told and retold when I was back in boring old America. Encouraged by our silence, Andrei then launched into a poetical diatribe on the meaning of love. I struggled to keep a straight face as I translated his words to my disgruntled friends. At this rate, this story was going to make my top five. “Drink with me, my friends!” he cheered, clearly planning to take advantage of the train’s food service. “No,” we declined, motioning refusal with our hands. I tried to explain our refusal, excited to see how well I could communicate in my third grade Russian. He leered at me knowingly. “You’re just afraid to fall in love with us.” I giggled. What he could have meant by his Gollum-like assertion was a mystery, but I gleefully etched it into my mind, adding it to the file that stored the antics of my favorite Russian characters. “We have to get him out of here!” Mitchel growled. No, please no! I wanted to know what was going to happen next. “I’ll have three beers,” Andrei ordered the train attendant. “Remember, we said we are not going to drink with you!” Mitchel retorted in his Tennessee twang. “No,” he said, incredulous. “They are all for me!” Andrei explained. Mitchel rolled his eyes. I grinned, adding the quote to Andrei’s budding character résumé. Our enigmatic professor Harley, who had grown up Amish and lived as an expat in Bulgaria for a number of years, came upon our saloon scene. The seventy year old man with his ever-present black beret and love for cats was famous for his unpredictable constancy. It was his paradox of character that made him so intriguing; the more he talked about himself, the less we knew, and it always seemed he was slightly smirking at us with his mysterious old eyes. His reaction to our plight was signature Harley. Mitchel silently begged our professor for help with desperate eyes. But with a conspiratorial smirk, he started to make conversation with our new friend. After a few minutes, with the mischievous gait of an adolescent boy, he kept on walking through the train, leaving us to fend for ourselves. The rest of the night played out just as I had hoped, with Andrei resisting Mitchel’s pleas to leave and his tales continuing and the account getting juicier and juicier. Late that night, Andrei finally left our cabin, leaving three green beer bottles and a memory that I can now see was loudly caricatured by my craving for novelty. This character, this piece of entertainment, had bills to pay and work to do and a wife that he had hurt. And in my ecstatic grabbing at a Russian adventure, I had simplified him into a cartoon character, colorful but flat. I didn’t see him as a human, but as an extra in my own personal plotline. I hadn’t thought about Andrei’s poor wife, married to a drunk who was running off with another woman. And I certainly hadn’t thought that Andrei too, might be a hurting, lonely man. I wonder what Andrei is doing right now. Maybe he’s sneaking off on another escapade with his secret lover. Maybe he’s late for work, nursing a hangover from too much vodka the night before. But maybe, just maybe, he’s at a bar, telling his friends the story of the stupid but amusing Americans he once met on a train to Moscow. Язык до Киева доведет. Your tongue will get you all the way to Kiev. My RD in Vladimir last summer shared this proverb with us to remind us of the power of using our voice. For many people, this little epigram is simple to carry out, but no matter how badly I desire boldness, assertiveness eludes me like the Roadrunner outruns Wile E. Coyote. It is embarrassing to admit, but despite my many times abroad, I cringe at the thought of approaching ticket counters. In reality, no one cares other than me if I make a fool of myself, but I still carry around the inflated image of scowling matrons and customs officers disgusted by the incompetence of stupid American girls. This image has stopped me many times from using my voice. On top of this my reticence to approach the ominous “other,” I rarely travel alone, so I have gotten into the bad habit of defaulting to the eagle-eyed directional skills of my friends. When it comes to travel, I am a follower. When it comes to travel, I am too timid. Not wanting to impose upon the very people whose job it is to be imposed upon, I walk around terminals and train stations with unsure steps, hoping and praying that I actually board the right plane or train. You’d think I would have learned by now that timidity in traveling is a vice that needs to be vigorously fought; after all, it was not asking questions that once landed me in the wrong airport without money or a phone. But still, no matter how badly I want to be assertive, no matter how many times I try to reframe the situation with psychological tricks, it still takes everything inside me to confidently state my question or concern to an unsmiling stranger. Add to this a language barrier, and the fear level spikes. I will never forget the adrenaline-filled trepidation that overwhelmed me as I approached the ticket counter to buy my first train ticket in Russia. Of course, it wasn’t as scary as I had imagined, but still, when I successfully bought the ticket to where I needed to go, I felt as victorious as if I had won a marathon, and almost as exhausted. Now that I’m going to be doing extensive independent travel in my year abroad, I realize that putting so much emotional energy into such an everyday task will be exhausting. I’m going to need a lot more смелость (boldness) if I’m going to thrive in the rigors of the Russian travel system. So as a “warm-up,” I decided to take a trip down to Boston this week. It was my roommate from Gordon’s 22nd birthday, and I thought it would be fun to surprise her. All that stood between me and our reunion was a bus, a few subway rides, and a commuter rail. And I feel a little funny saying it, but I was scared. I was scared, but I couldn’t let that fear cripple me. I had to exercise my tongue. And as is often the case, things went much more smoothly than I had imagined in my worst-case scenario addicted brain. I almost got lost a few times, but I used my tongue when I needed to. And today, as I strode through the bustle of the Boston South Station, my steps were imbued with a purposeful bounce. The familiar traveling smells of coffee and cigarette smoke and city air brought back broad memories of trekking through Moscow and St. Petersburg, and at once I was confident, able, смелая. Язык до киева доведет; my tongue will get me all the way to Kiev, but first I had to let it get me as far as Boston. When I found out I was being placed in Elabuga for my teaching assistantship in the fall, the name was nothing more to me than than a humorous string of syllables (think boogie-man, the Ooga-Booga man from Crash Bandicoot). 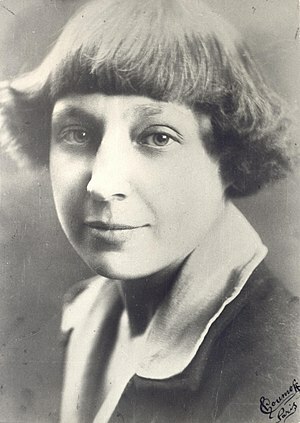 But upon doing some research into the city, I discovered that one of its claims to fame is that it was the death place of the renowned poet Marina Tsvetaeva. One of the reasons that this poem is so well known is that it makes a musical cameo in the classic Russian New Year’s movie, Ироны Судьбы (The Irony of Fate). The film begins with a group of Russian men enjoying an New Year’s Eve at a Moscow баня (bath house) and getting drunk. This would hardly be noteworthy, except for that the men get so drunk that the conscious ones can’t remember which one of their passed-out friends was supposed to board a plane to Leningrad. And being good friends, they do their best, but they still put the wrong friend on the plane. When the hungover Zhenya arrives in Leningrad, he is still not sober enough to realize that he’s not in Moscow. So he flags down a taxi and gives him his “home address.” The driver brings him to his “home,” and Zhenya passes out on a bed as soon as he arrives. (Note: such a mistake was possible because Soviet-era city planning was big on uniformity; i.e., Moscow and Leningrad had many of the same street names and identical housing complexes). Zhenya is surprised to awake to a beautiful woman screaming at him to get out of her apartment…and so it begins. I won’t spoil the ending for you, but here is the clip in which Nadia (the woman who lives in the apartment), sings lines from Marina Tsvetaeva’s poem. Hint: it’s a happy ending. This movie is near and dear to my heart because of the ironic role it once played in my travels, what I like to call “The Irony of Gate.” At the end of my study abroad in 2010, I sat sick with strep throat in my hotel room while the rest of the group went to stare at Vladimir Lenin’s waxy corpse. To keep myself occupied, I watched The Irony of Fate, unaware that I would soon become Zhenya. On the way back to America, I managed to get on the wrong plane, giving my parents and group mates the fright of their lives. While on a layover in Frankfurt, I got separated from my group and approached what I thought was the correct gate. Esteeming German efficiency and attention to detail as infallible, when the gate attendant let me on, I boarded with complete confidence. And then I waited. And waited. And no one in my group came. The loudspeaker confirmed my growing doubts, “Service to Newark, New Jersey.” I was supposed to be going to JFK. I’ll never forget the flight attendant’s reaction when I told her my plight; she looked over her shoulder and said to a male attendant in a grave tone, “we have a situation.” A situation indeed, but thankfully one that I can now laugh about. Eight hours later, I arrived in America fatigued, but unscathed, and feeling a little guilty for giving everyone close to me such a scare.